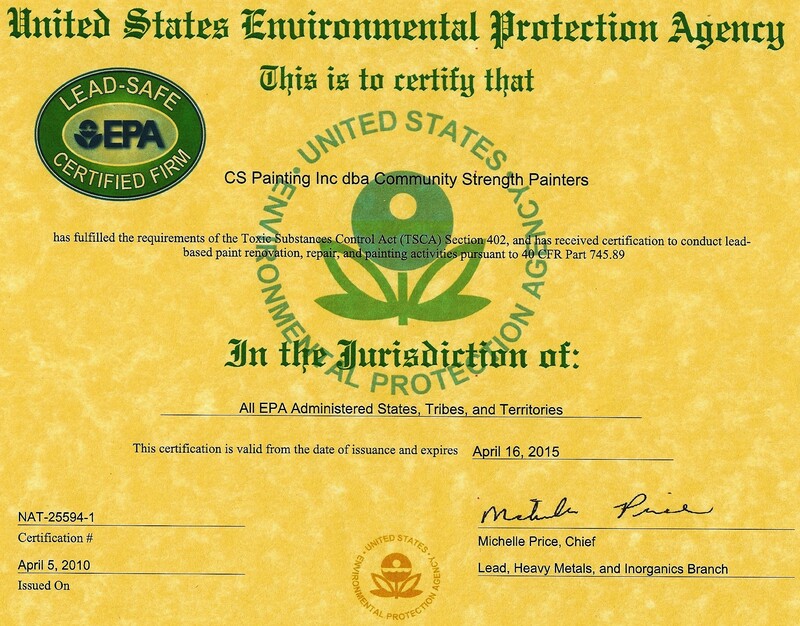 Beginning April 22, 2010 federal law requires all contractors that disturb lead-based paint in homes built before 1978 to be certified with the EPA and to follow specific work practice to prevent lead contamination. HUD and other certifications will no longer be sufficient. First offence violation is $32,500.00. Ask to see your contractor’s EPA Certification. Keep in mind that EPA certification does not insure quality workmanship and we strongly advise checking references. Our experience- Community Strength has been lead-certified since 2002 and until 2009 we were the only painting contractor in Whatcom County that was certified with the State of Washington's lead-based paint program. The CDC “Center for Disease and Control” identifies lead poisoning as the #1 preventable health risk for young children. Approximately 310,000 U.S. children aged 1-5 years have blood lead levels greater than 10 micrograms of lead per deciliter of blood. This translates to an average decline of 6.2 points in full scale I.Q. * 10 micrograms is much smaller than a single granule of sugar. • #1 source of lead poisoning comes from lead dust ,that may appear invisible, on interior window sills and floors generated from sliding windows, from doors that rub and stick, and from sanding exterior paint that is tracked in or blown inside. 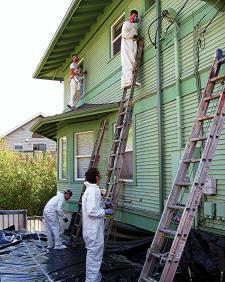 • If you see a neighbor sanding the siding of an older home, blowing dust to the wind, you need to ask questions. If your home was built Pre-1978 please read this page regarding lead-based-paint.